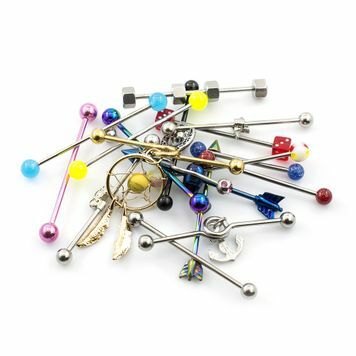 Package of 12 Industrial Barbell Randomly Picked 14ga. Measurement: 14g (1.6 mm). 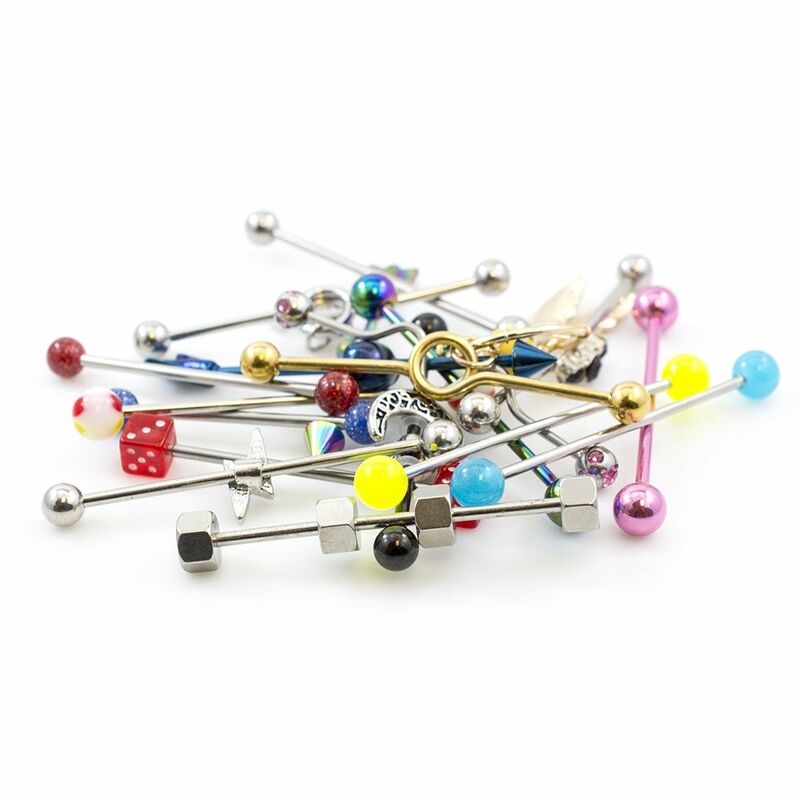 Value package perfect to grow you personal jewelry collection. 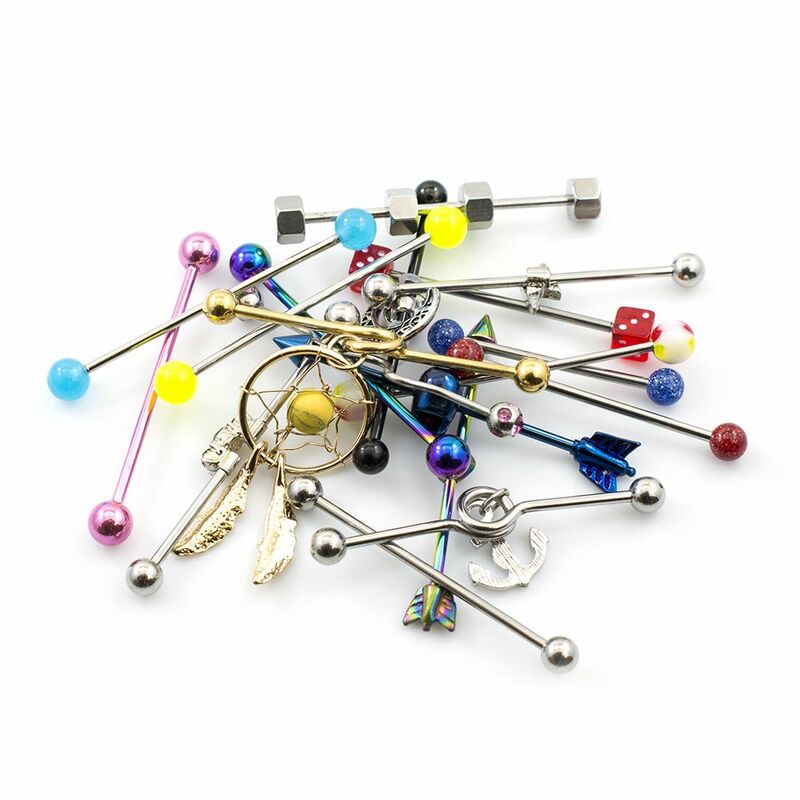 You will receive a package of 12 Industrial Barbells with different designs and materials. We are a U.S. based seller and all of our products are shipped from the United States. You can return any product within 30 days from purchase date. We Care And Will Reply Within 24-48 Hrs!